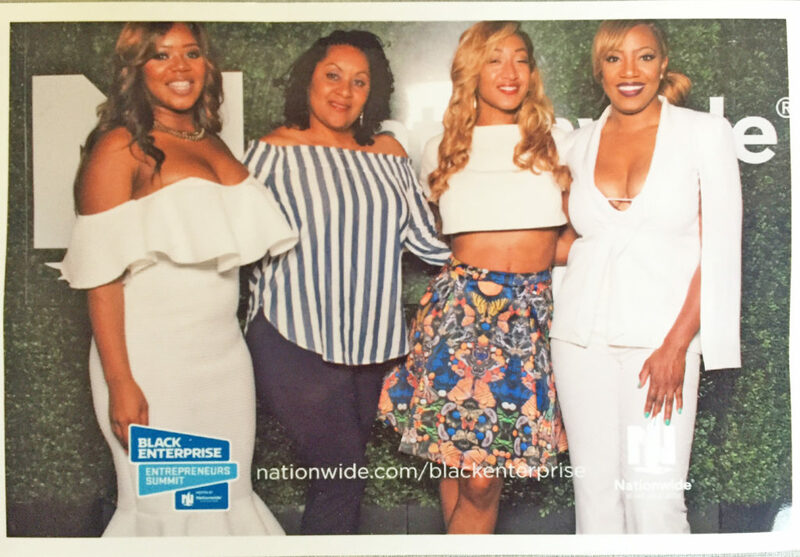 The Texas Black Expo delivered on Texas size fun! 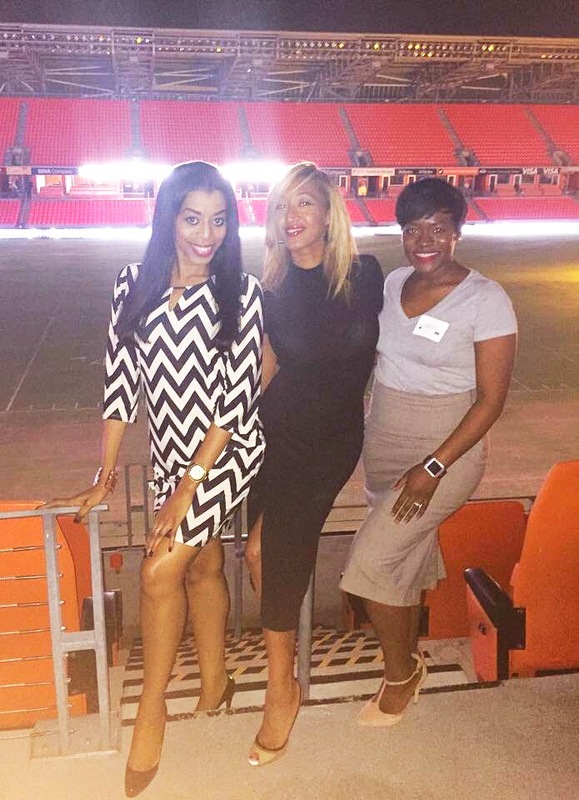 The Texas Black Expo is just what you may expect, but sooo much more. The expo is a great opportunity not only to support black owned businesses, but also offers some great showcases and seminars from everything from entertainment, to health and wellness to real talk from successful professionals. Last weekend I had the opportunity to not only check out some of the great vendors at the expo but also get a little insight in the age old question, what are the differences between men and women? 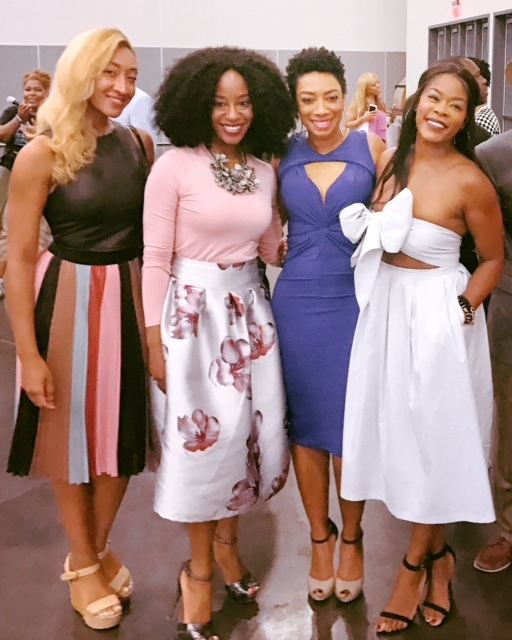 In the Diva Dialogues Entertainment Attorney Jalene Mack brought together a power packed panel to take on the challenge of “The Great Divide” and see just how different do many and women feel about things from business to love and relationships. 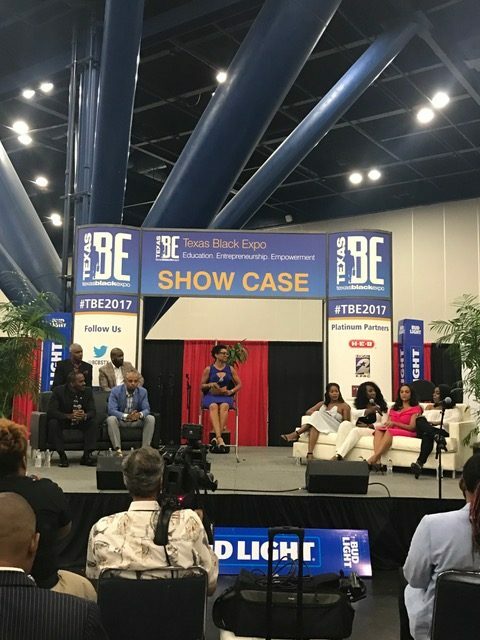 This Texas Black Expo seminar was a great look into the differences, sometimes subtle, sometime distinct, between how men and women see the world. This type of conversation can either be lots of fun or down right argumentative so it was an extra bonus that Jalene was not just an entertainment attorney but an actor as well, and able to keep everyone both on task and having fun. With a feisty panel of professionals you who are enjoying themselves and openly sharing you almost cannot help yourself but get wrapped up in the fun. The panelists ranging from philanthropist, to attorneys, to radio station owners, to successful entrepreneurs and even a special guest Golden Brooks, a successful actress and business owner most known for her role on Girlfriends. 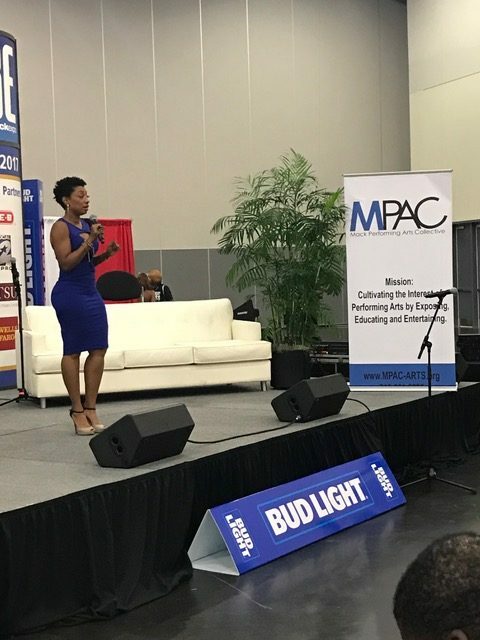 Jalene Mack – Entertainment Attorney and founder of MPAC: On networking Jalene recommends entering into it with purpose. When you are focused in on finding opportunities you make sure networking actually enhances your business. CleRenda McGrady – Author and Philanthropist – in referencing her favorite movie scene in The Wizard of Oz CleRenda draws strength from the idea that the power is within you all along, you just have to believe it for yourself. Keisha Nicole – DJ for 97.9 The Box: In speaking to purpose Keisha is inspired by knowing that if God gave her a purpose, he also blesses with the gifts and capacity to carry it out if you are willing to put in the work. 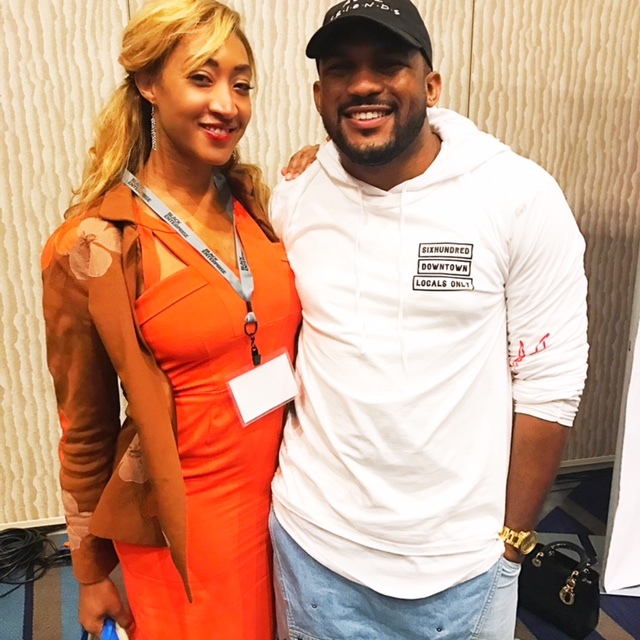 Al Rucker – owner of Midtown Bail Bonds – For those who do not network Al recommends using the energy to focus on building their brand. After time a strong enough brand gets people searching for them instead of the other way around. 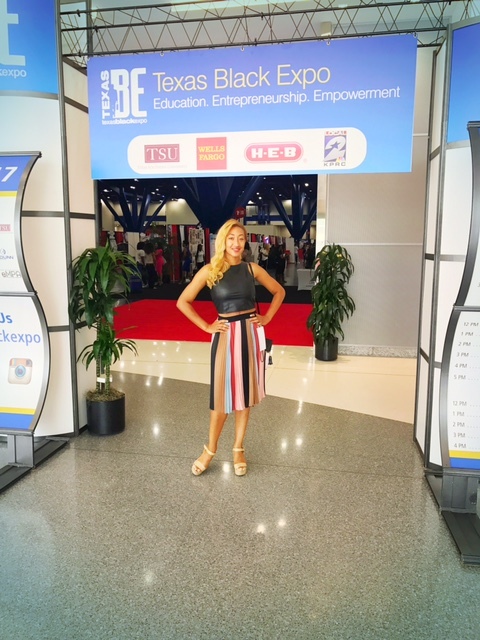 All in all the Texas Black Expo is a great way to support your community with businesses you love and others you have yet to fall in love with. Most importantly it is a great opportunity to have more breath taking moments and learn something along the way. No matter what you do, there are usually other businesses or people who do the exact same thing, so how do you show your brand is different to the audience that matters to you? This is a question that entrepreneurs wrestle on a daily and at my final seminar at the Black Enterprise Entrepreneur Summit we received some great insight from a master in his field, Raymon Ray. In the seminar “How to Build Your Personal Brand” Ramon Ray provided some simple but essential strategies for separating yourself from your competition to becoming the “go to” person in your area and for your target market. 4 – Just Do It: It is easy to get so busy working on small things you forget to add some big things into your larger vision. Whether it is an event or sizzle video there are some great ways to tout your talents and increase your audience. 5 – Maximize Media Exposure: Even small business in this day of connectivity can get some major media exposure if they work at it. Take some time to get to know journalist in your area so when a topic comes up that applies to you, they have you on special for an experts input. By working to not pitch yourself but educate on a topic you can easily build a reputation as an authority. Even something as simple as creating a regular show can help catapult your media exposure. This was a great seminar that showed you how to immediately put some ideas into action while leaving attendees feeling both motivated and empowered. With just 5 easy steps to get you on your way to becoming local celebrity in your field what’s stopping you?!! 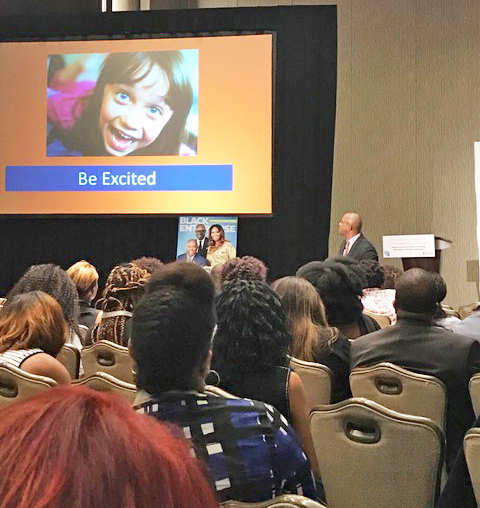 On Day 2 of the Black Enterprise Entrepreneur Summit I hesitantly walked into the seminar entitled “How to Use Technology to Protect and Grow Your Business“ and to my surprise I was quickly realized I was getting a lot more than I bargained for. 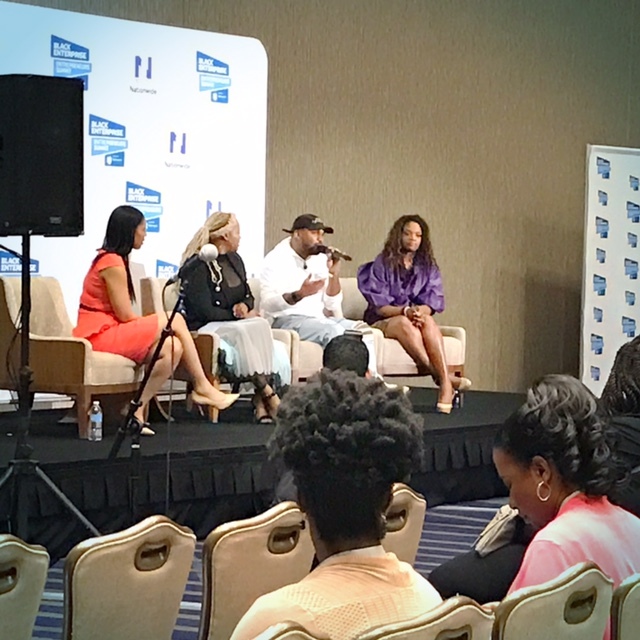 The panelist of Claire Sulmers with Fashion Bomb Daily, LaShonda Johnson with the Houston Housewives of Finance and Everette Taylor of Skurt were a fierce compilation of business savvy, opportunity spotting business superstars all ready and willing to share their experience and knowledge with the crowd. Each in their own way were innovators, finding opportunity and pushing through to success when many others would have only seen despair. Everett, for instance, when from being homeless, unable to get a call back on job applications due to stereotyping, to starting, running, selling and restarting some powerhouse marketing and IT companies. Other panelists, like LaShonda Johnson, left lucrative businesses to take a risk to uncharted territory in pursuit of their passion. 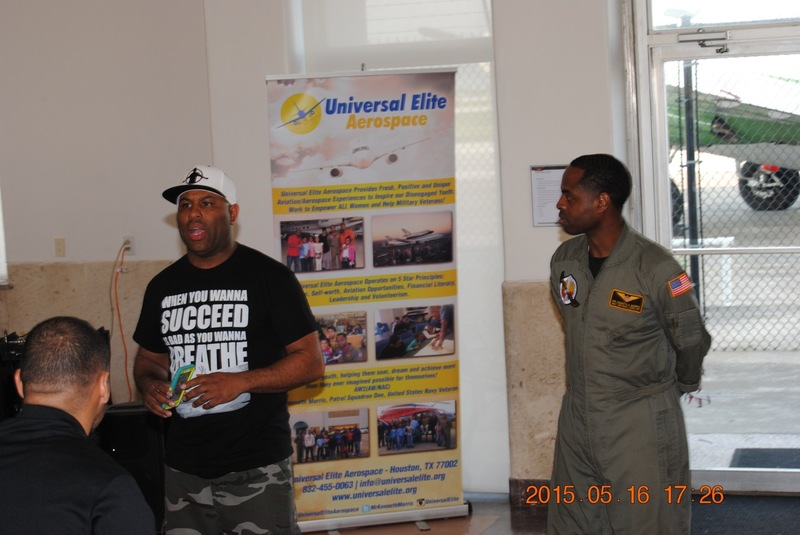 All, however, were able to share powerful messages in utilizing the things around you and inside you to leverage your mindset and your business. While I came in the seminar expecting a full-fledged jump into the world of technology, the talk took on technology more as any knowledge you could apply for advancement. Yes, technology encompasses the gadgets and devices that have become a part of our lives, but the perspective that was really valuable is that these things are only beneficial if you use them to evolve in reaching your customer base. A great example of this came from Claire with Fashion Bomb Daily. 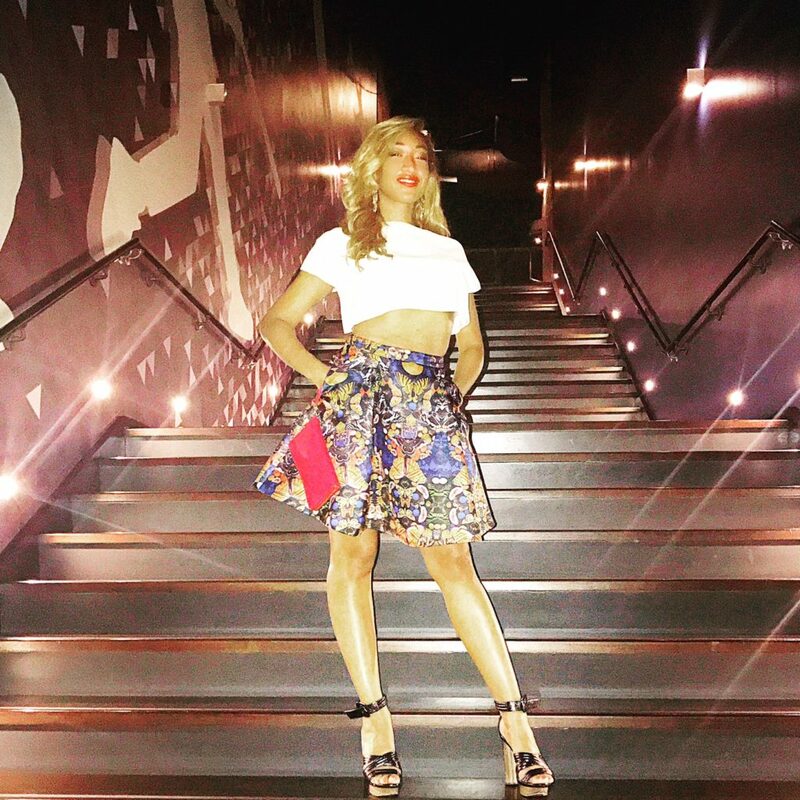 While she is known for her phenomenal fashion blog, she noticed that readers to the blog were transitioning to Instagram. 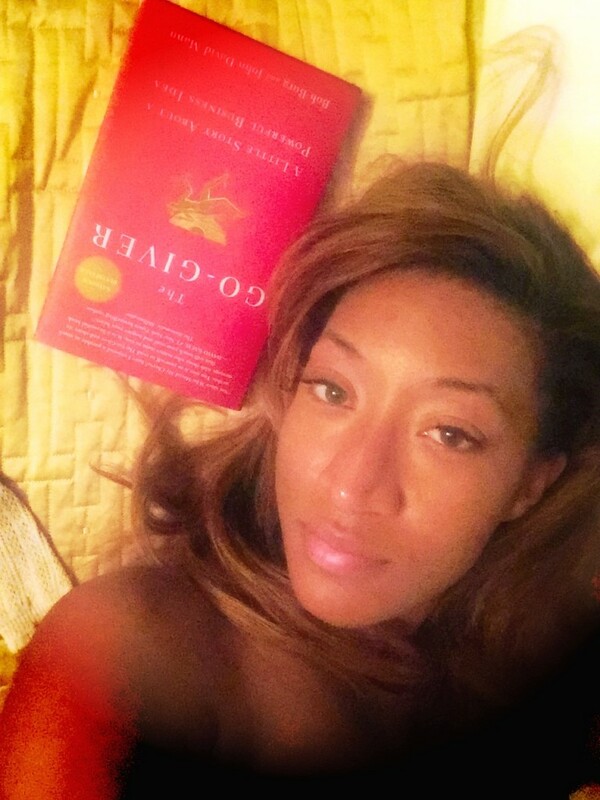 As technology transitioned she also transitioned her delivery method to Instagram and now has more than 1 million followers along with the base she developed in readers to the actual blog. She was able to harness the resource to make an impact and increase her audience. Getting the right people: By surrounding himself with a team members who are resilient to failure and have strong mindsets he ensures what he envisions his team can then work to implement. The seminar was a great reminder that technology is not just having the newest idea or process, but it the using these innovations to make more informed decisions and deeper relationships with your customers. 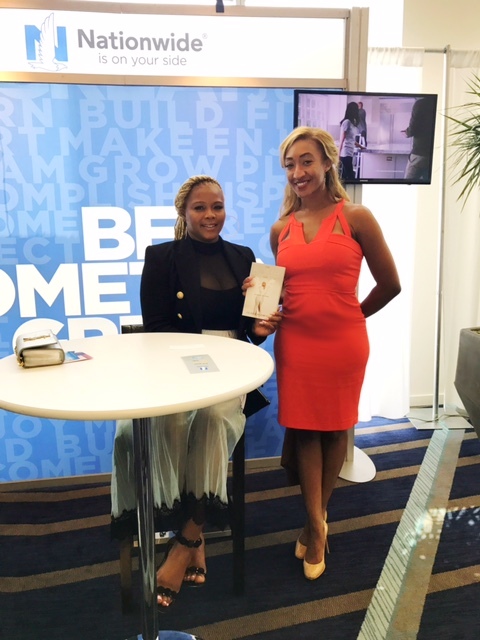 The seminar was a gold mind of ideas that you can apply quickly to make big changes to your bottom-line. 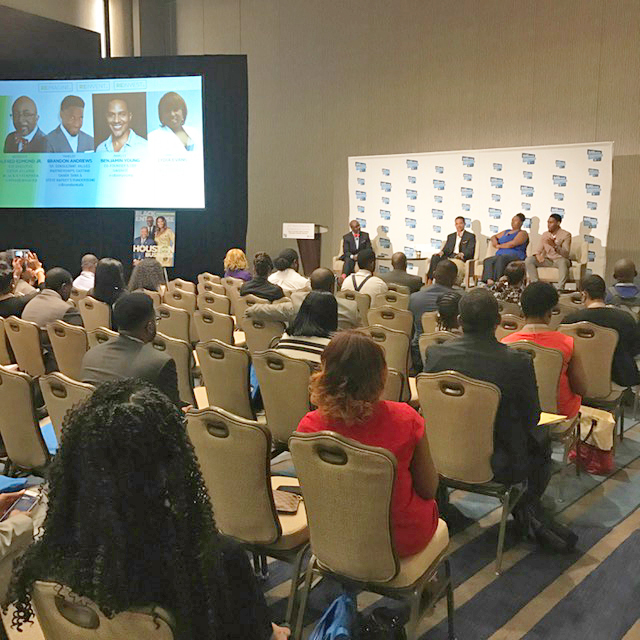 Day 2 of the Black Enterprise Entrepreneur Summit was jammed pack with information and motivation that could really catapult your career and business to the next level. Before the conference I heard several entrepreneurs express all the reasons why doing a conference like this was a waste of their time. Perhaps it was money or time or just the thought of what could they teach you. The truth is we always can continue to learn and when you have an opportunity to learn from someone who has gained success you have a great opportunity to make real life applications to your own situation. So what makes the potential of the conference life altering? Well for one there is access. The speakers gathered at event represented the gems in their field all with powerful information to share. Take the “Why it Pays to Swim with the Sharks” seminar for instance. On one stage you had Brandon Andrews, a producer for Shark Tank as well as Benjamin Young and Lydia Evans, founders of Sworkit and SW&G Essentials respectively, who have both had the experience of pitching for Shark Tank. Now talk about a realistic push to move forward with your idea as their stories were not success fairy tales. Quite the opposite the stories gave the full gambit of challenges faced by an entrepreneur, from starting, long nights and early mornings, the bitter defeats and the triumphs that define owning your own business. Through it all the conference offered a great reminder that even with failure there is no end of the road. After the no there is still a fork in the road between quitting and continuing on that could determine success. Access to really power players did not stop at the seminars. During the luncheon the discussion was joined by Charles Koch, Chairman & CEO of Koch Industries. Known not just for his million dollar businesses, but also as a prime political contribution the inclusion was initially surprising. But as with many things in the conference some of the best benefits came from the most unexpected directions. During this discussion we were reminded that making it for ourselves is not the only goal, but also in building a legacy for those who come behind us. In the discussion surrounding building sustainable paths for our youth to follow it was a great reminder of where real change happens: In your mind. By changing the mindset, understanding our innate abilities, and pairing rising above with giving back we can become a partner with the youth. Between all the events and programs the other priceless part was the filling in between. Meeting those motivated, dedicated entrepreneurs in your city and from far and beyond is a great connector. The foundation is already laid as attendance shows a commitment to their business and to get better. Outside of the some of the great seminars I had the real opportunity to meet others on their own path but with a similar goal as mine. 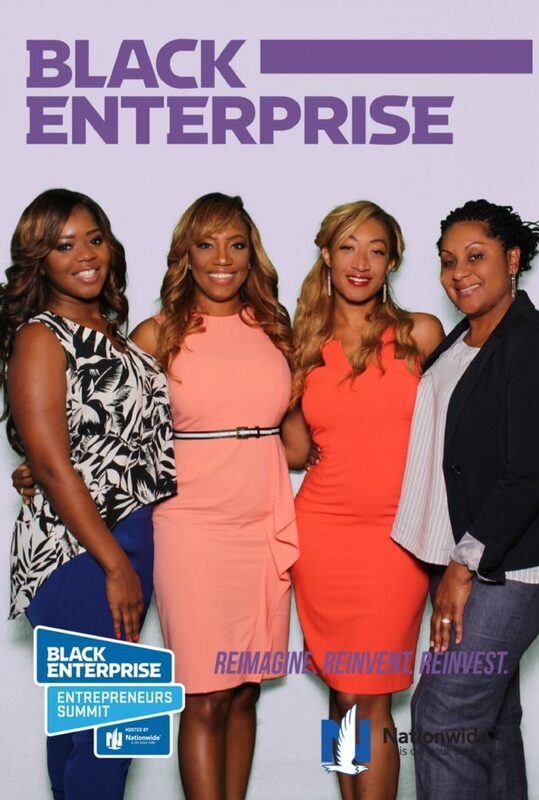 From other attorneys, to college classmates, to inventors to CEOs I got a chance to connect on the start of the work to do better and get better which is reason enough to attend an event like the Black Enterprise Entrepreneur Summit. “If you are not learning, you are dying”. 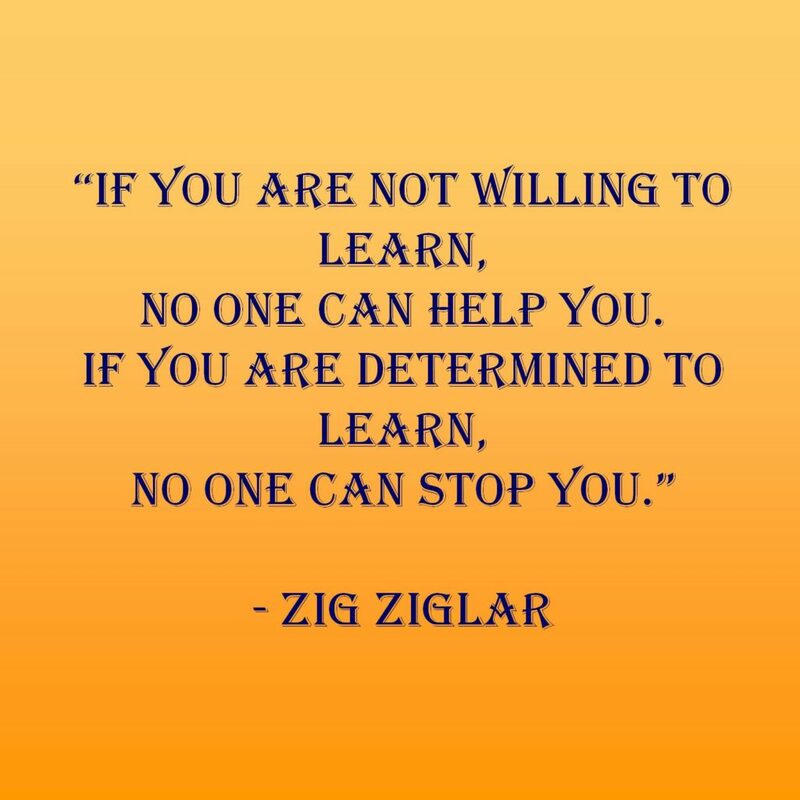 As a business owner continuously refining your business by constantly learning is an integral part of sustaining long term viability. Within business nothing stays the same for long, so relying on past wins as a game plan builds in boobie traps to your foundation that can quickly take you under. Markets change, audiences change and competition changes and that is a guarantee. Preparation to avoid the pitfalls of this ever changing market should also be a guarantee as you plot your own path to success. Investing in learning and growth can ensure your company is responsive to these changing environments, instead of reacting to problems and obstacles the unknown future almost certainly holds in its cards. Access: This requires an honest assessment of where you are in skills and knowledge. If you are able to do this or poll respected colleagues or co-workers for their opinion you will be able to start first with where you are to determine where you want to go. This understanding is key as it gives you the focus not to just reach out for general information but to sort through the learning environment for what specifically can apply to advance your business. Research: I think general seminars and books are a great start to keep you motivated as well as give you a general sense of up to date information. These sources have already been cultivated to deliver a specific message and the research and sources are on point with current issues. 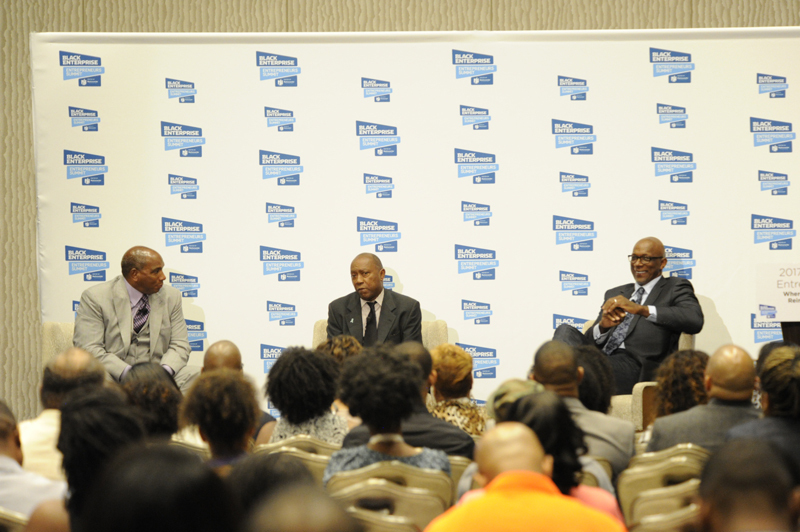 For me seeing the Black Enterprise Entrepreneur Summit I quickly reviewed the agenda and signed on. It is not just a quick opportunity to cover lapses in knowledge that I am aware of, but also to learn something from issues that may not have been on my radar in my normal practice of expecting the best but preparing for the worst I my business. Pulling together others: An additional resource you can pull from educational seminars is knowledge from your peers that can ultimately be invaluable. Making connections with a range of people, some who may have a similar mission and others whose goals are diverse give you a broad awareness of issues that can impact your business and a heads up on key areas of improvement. An educational seminar pulls together people who at least have a base of pushing for common information and this base can be a spring board to shared interest and later collaborations. Next time you are at a seminar or luncheon really put on your listening hat for the knowledge just immediately around you. When your mind is open you will always be surprised what new you can learn. Good things in life easily motivate you to get things done. When you are craving that piece of chocolate or new electronic you have been dreaming about nothing and the world can stop you. When you compare this driven mentality to other areas of your life, however, there can be a dramatic turnaround with your ability to want something and put in the work to get it done. At least one reason this can happen is how your mind focuses on things that you want to actually get you moving in the ride direction. Take this example. First think of going out for dinner for your favorite meal. Instantly you start to think about how delicious it is and how good you feel when the aroma whiffs your way and just how great the first bite will be. 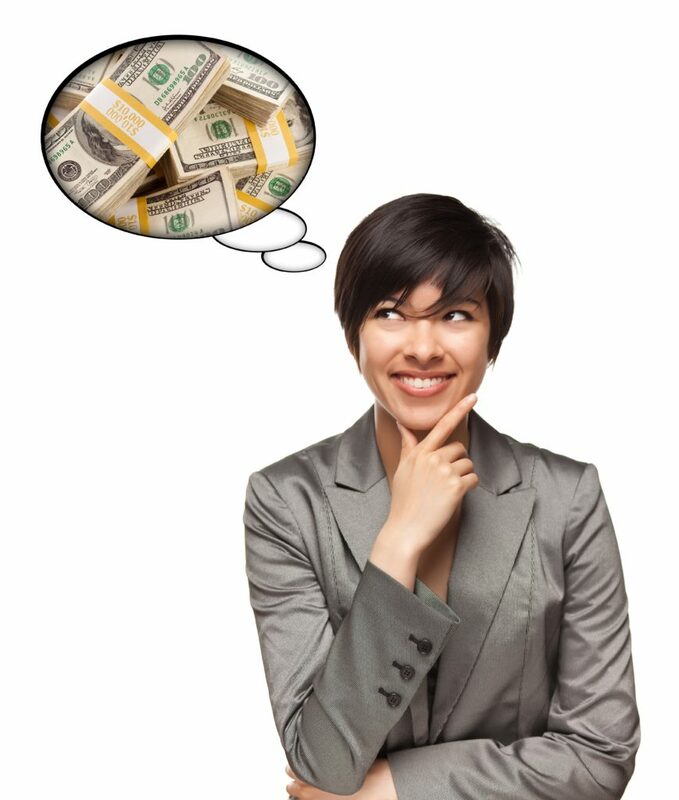 Next up pick a different goal in your life, let’s just say you may also want to make $20,000 more at work. Instead of imagining just how great it will be once that gets done, you automatically start to think of all the work, obstacles and hassles that lie in your way before you get to what you want. Adding some of the reward and benefits to your goals that aren’t as appealing as your favorite meal is a good way to jump start the process of easing the mental blocks you are throwing up to get things done. If you want to make more begin to associate that with how your life will improve. Perhaps you will have more time with the kids or the flexibility to take the vacation you want. Of course your mind throws up interference at first but the more you challenge yourself to make the association with a different, more enjoyable goal, the strong the association becomes. Working harder just to work harder does not come easy for a lot of people but working harder focusing on the carrot instead of the stick can help you self-motivate and get in gear for chasing your dreams. Once you get in autopilot then little steps come faster and before you have a chance to stop yourself progress is being made. I like to spend time every Monday just imagining so I can associate things I love with the work it takes to the get them. I love to travel so I browse for destinations I would love to visit. Then I think of the small, manageable steps I could take to get there. While $20,000 increase in sales sounds overwhelming, making an extra $1,500 a month does not and making an extra 3 phone calls a day sounds even better. I stop thinking about all the work and just take the work as a cost of the reward and my engines get revved up!